Carrying over the tradition of '60s and '70s festive funk records from Motown, James Brown et al, Strut assemble their very own playlist of Christmas songs, drawn from tracks only ever released as obscure 45 B-sides. 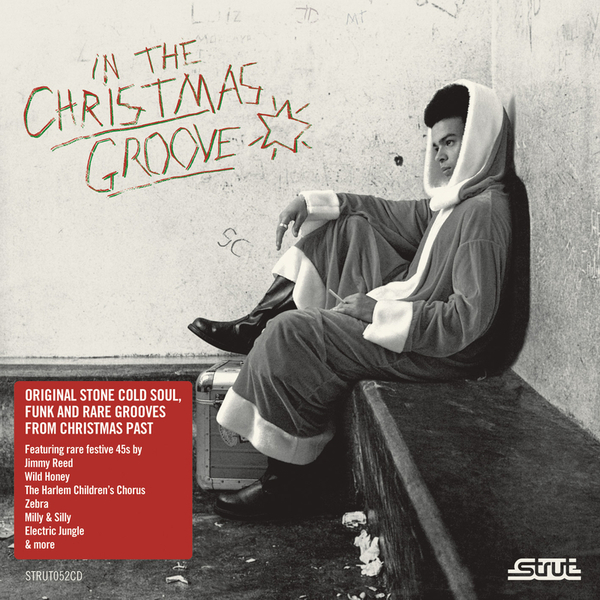 The fact that all these tracks are novel rarities only makes the compilation all the more revelatory: chances are you won't have heard the likes of 'Funky Funky Christmas' by Electric Jungle before ("Sho nuff funky Christmas Day" exclaims someone), and The Harlem Children's Chorus recording of 'Black Christmas' - all about Yuletide in the ghetto - can't help but raise an uncynical smile. Elsewhere, bluesman Jimmy Reed stops by to impart his 'Christmas Present Blues', New Orleans legend Eddie Bo produces Isaac Clarke on a rousing rendition of 'Santa Claus Is Coming To Town' and at the end of the compilation there's even a funked rendering of 'Auld Lang Syne' by Black On White Affair to help you usher in the new year. Ace.